This morning we decided to head to Hollywood to visit Universal Studios. It was definitely a touristy thing to do, but it was actually a lot of fun. 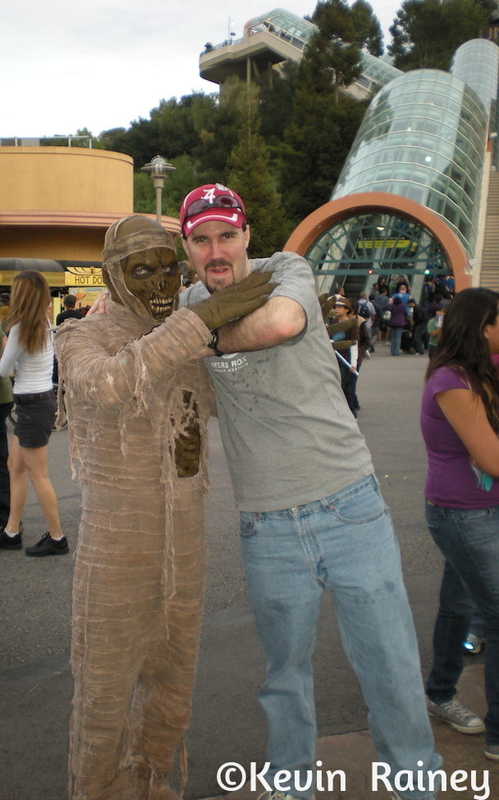 We saw the Shrek 4-D film, rode the Lost World rafting adventure and enjoyed the Revenge of the Mummy ride. 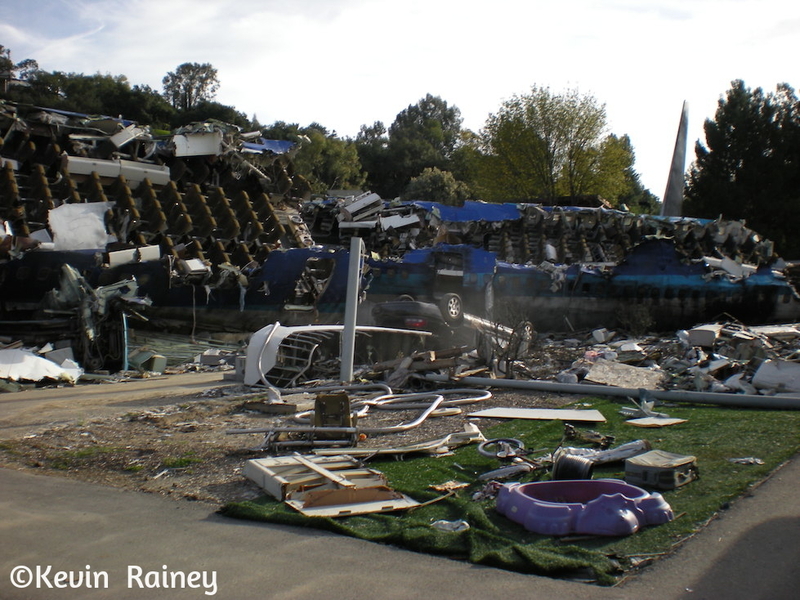 Later we ate lunch in the park before going on the infamous Universal Studio Tour where we saw sets from many famous movies like Jaws, Earthquake and War of the Worlds. We also saw Wisteria Lane from Desperate Housewives and the sets of other famous television shows like The Brady Bunch. It was definitely the highlight of the visit seeing so many famous movie sets spread out across more than 13 city blocks. 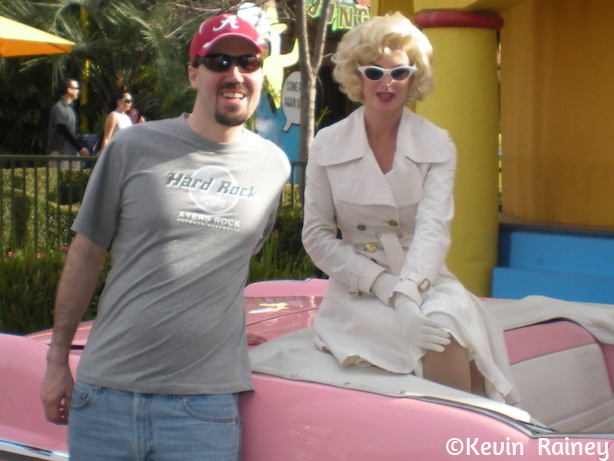 At one point I posed with a lady dressed as Marilyn Monroe sitting in the back of Chevy convertible. She said, “Roll Tide, baby.” Hilarious that even dead superstars had jumped on the bandwagon. We ended our visit by watching the WaterWorld stunt show. From guns to explosions to jet boat chases, this show had it all. 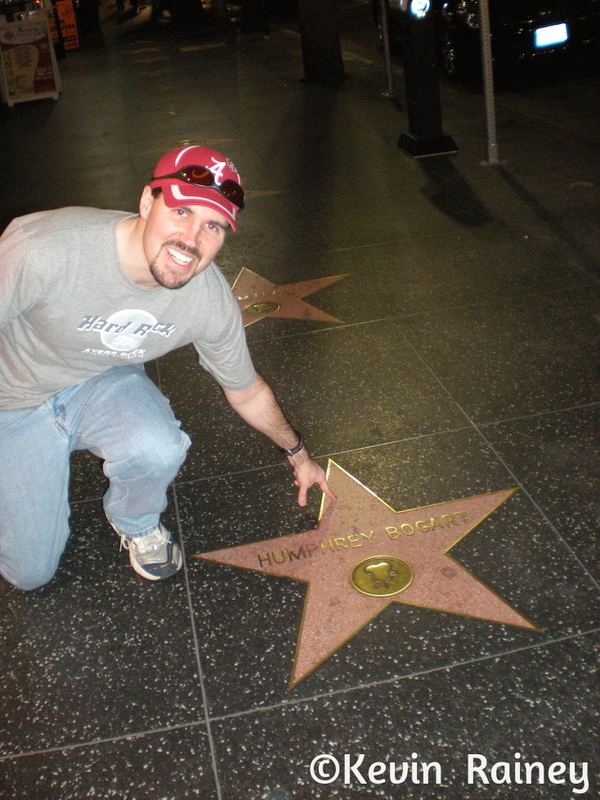 During the evening, we headed to West Hollywood to walk Hollywood Boulevard from Gower Street to La Brea Avenue. We had some Greek/Lebanese food before walking the Hollywood Walk of Fame. We saw many famous celebrity plaques and handprints ranging from movie stars to musicians to television stars. 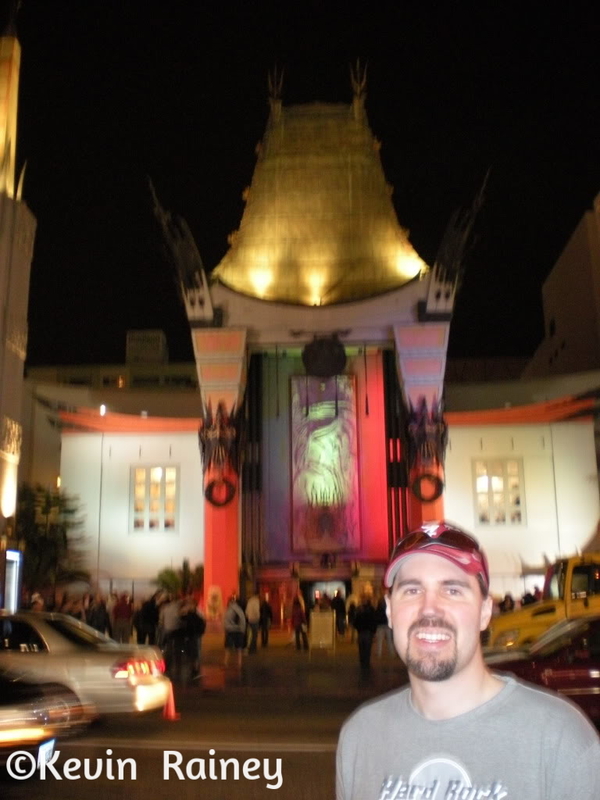 We then toured the Graumann Chinese Theatre with it’s beautiful lobby. When we exited the building, we saw helicopters buzzing overhead as a Japanese band named “Japan X” filmed a music video during a mini-concert on one of the Hollywood hotel roofs. Later in the evening, we went back to the hotel feeling like we conquered LA. Tomorrow we had to fly back to Birmingham through Minneapolis, but we had a unforgettable time watching the Tide roll in Pasadena.